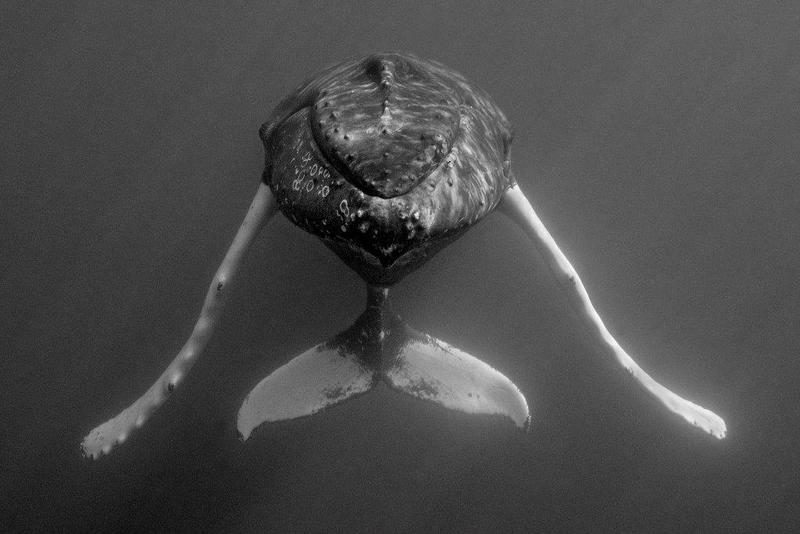 The ACE Gallery will be hosting ‘Dancing with Whales’, an exhibition of black and white photography by Andrew Stevenson. The opening reception will take place on Thursday [Sept 25] from 5.30pm to 7.30pm. A spokesperson said, “The underwater photographs were taken in March 2014 of two ‘dancing’ humpback whales as they engaged in typical courtship behaviour. The photographs are just a small selection taken during a three-hour encounter 20 miles offshore Bermuda in 14,000 feet of water. Mr Stevenson said, “Why convert these images to black and white? 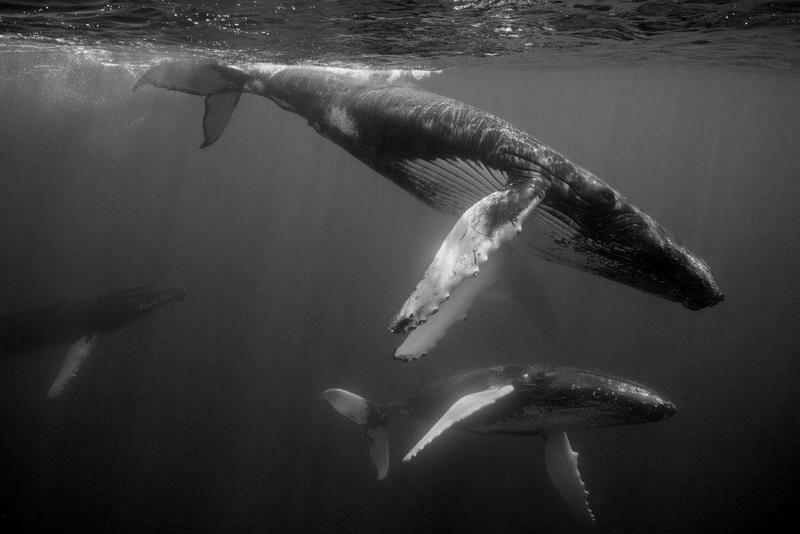 Black and white juxtaposes these graceful images with the horrific archival pictures of dead humpbacks tied alongside whaling ships or their butchered carcasses on slipways. Dancing with Whales will run until the end of 2014. The ACE Gallery is open to the public weekdays from 10am – 4pm. Please call 295-5200 for group arrangements.